The man was with a group on its way down from the mountain's summit when he disappeared. 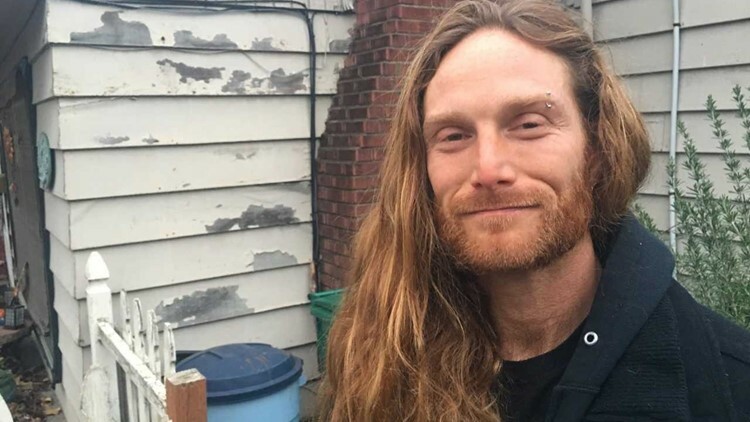 MOUNT ST. HELENS, Wash. — An outdoor school employee who became separated from his hiking group has been located safe after spending a night alone on Mount St. Helens. Patrick Johnston, 38, made himself a shelter Thursday night and hiked down the mountain Friday morning. He found a road, and a driver picked him up and brought him back to Portland, said Jess Liotta of Trackers. Trackers offers camps and outdoor programs teaching outdoor skills to both children and adults, according to its website. "I made a shelter, built a simple lean too, put a fire pit in front of it and had a fire all night," Johnston told KGW. "Just gathered wood and made a fire. I actually had a ramen packet and some snacks on me. So I made ramen, melted snow to replace my water. Actually stayed pretty warm. My toes were warmer there than on the mountain, that's for sure." Johnston became lost while he was training with fellow employees. The group left from the Marble Mountain Sno-Park, which is the main climbing route to Mount St. Helens used during the winter, Skamania County Sheriff Dave Brown said. Brown said Johnston was with a guide and three hikers on their way down from the mountain's summit when he disappeared. Johnston went ahead of the other four people to start packing up their camp. When the rest of the group arrived at the camp, it was still set up, Brown said. The group's guide then went back up the mountain to look for Johnston, but could not find him. Johnston became separated from the group between the 5,000- and 6,500-foot level on the mountain, Brown said. A total of 35 searchers, including crews from Skamania and Cowlitz counties, responded to the mountain to look for Johnston. The Crag Rats from Hood River, Portland Mountain Rescue and a helicopter crew from the Army station in Yakima, Wash., all helped with the search.